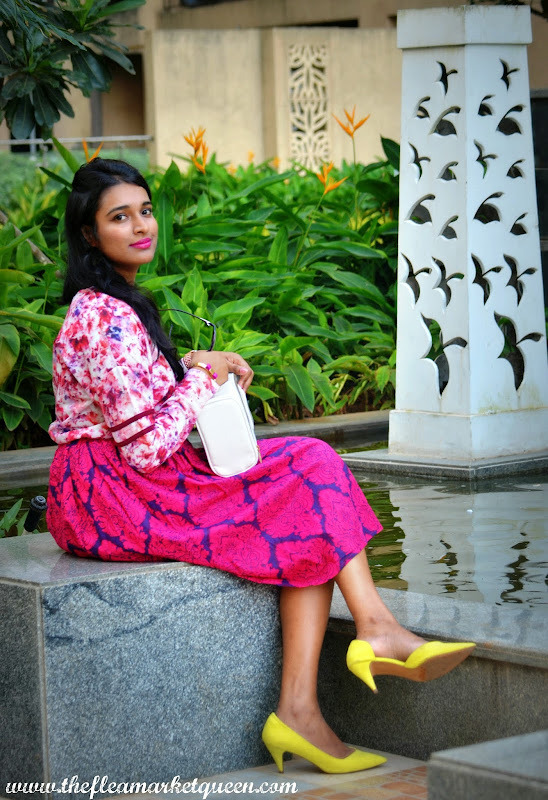 Mixing prints comes as second nature to us Indians. 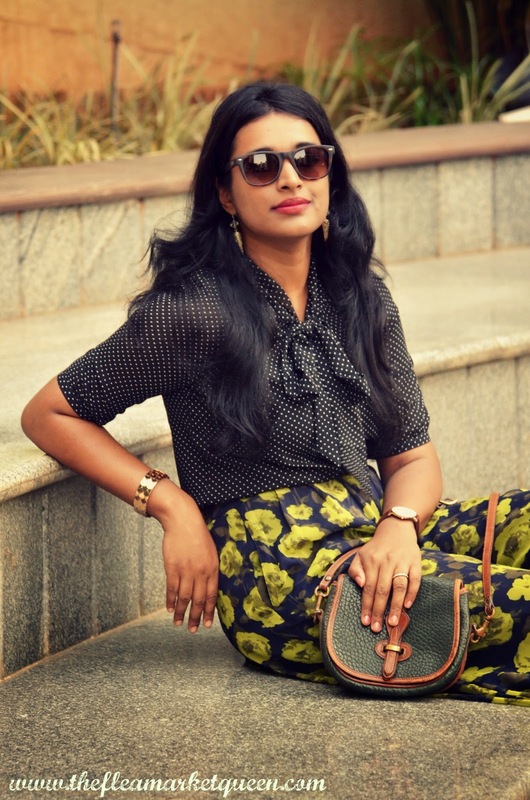 The best example of print mixes are on the Indian streets, where women effortlessly wear patterned jacquard blouses with printed sarees or kurta pyjamas with mixed prints pattern. 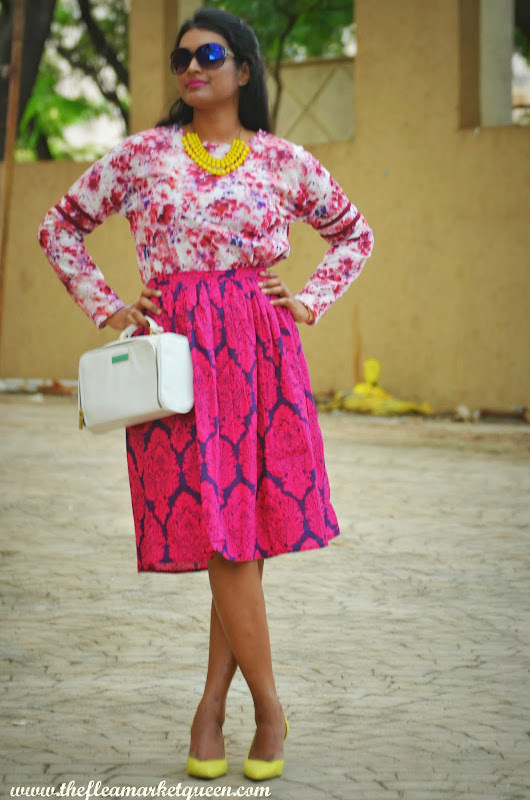 For people like me who find comfort in western attires, print mix is seldom common . When I entered the Max store, my eyes were stuck on all things PRINTS! And they did have amazing variety. I knew it was the right time to do the PRINT-MIX with MAX! Their AW 14 collection is a surprising trend festival of sorts. Not the usual blacks or greys but much more color.They have Jerseys in sporty letter prints, reminding me of Archie’s comics. For the hipsters at heart- floral culottes, signature velour hoodies and for the classy -parisian cardigans with gold buttons - A lot of Vintage classics! For me Max was always a one stop shop for lounge wear and warm hoodies. But now I see there is a lot more to choose from! The Autumn winter collection has a certain 70s vibe with oversized floral jerseys which can be teamed with jeggings/leggings/warmer tights or balloon skirts like I did. 1. Always try mixing the same color family. Its effortless. 2. Polka dots/Stripes with any other print is a usual suspect for Print mix- quite safe too. 5. If you are petite, avoid large prints . You could print mix your scarf with your blouse! Isn't that simple? Lets liberate the prints! 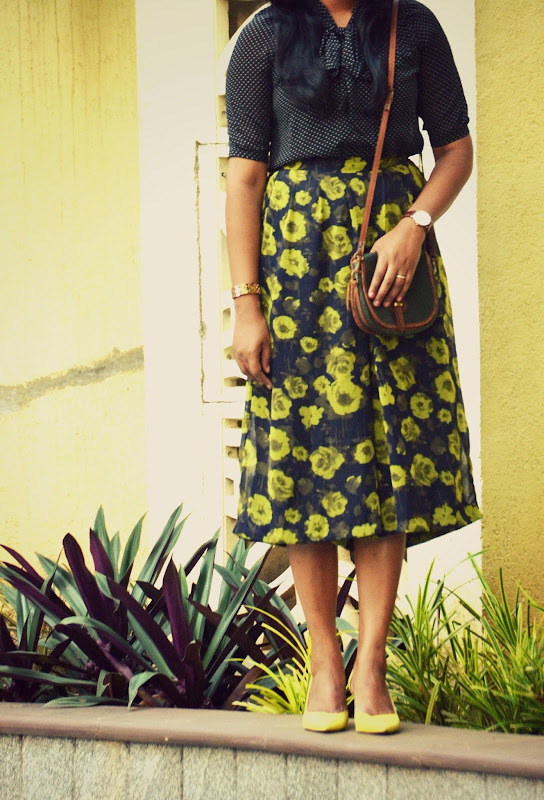 And yes, mixing prints is a liberating experience! You can surprise yourself each time! My first print mix is the family-PINK-my favorite! Besides being a refreshing mix of prints, It is also a fusion of cultures. The indian block print skirt almost falls in harmony with the watercolor print jersey from the West. I am loving the vibrant colors and the fact that its warm for light winters and perhaps can be layered for lower temperatures. My second look is the safest- Polka dots with floral print. I am sure you have tried this too! The floral green culotte is one of the surprising finds at Max, never saw this trend before in Max. 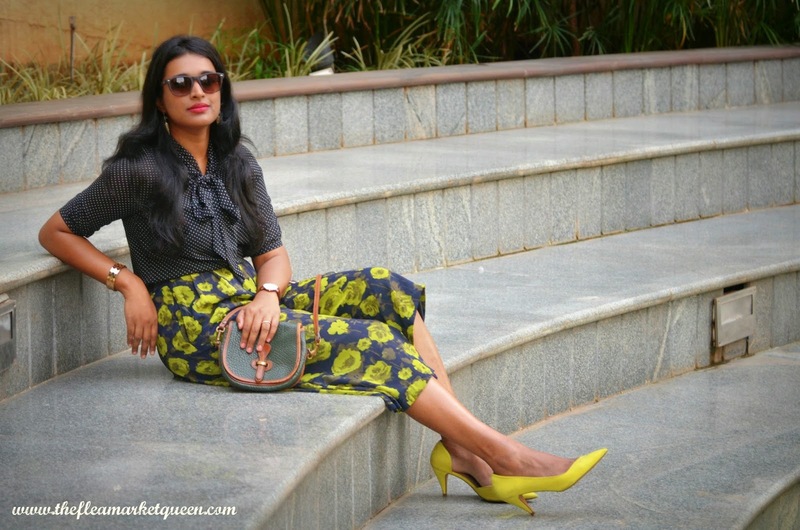 Green is something I don't like wearing, but this combination surprised me and I had to pick it for its freshness! Would you dare a print mix? Have you mixed prints in the past? I would love to see. wonderful blog. i have sent an email to you. please check. 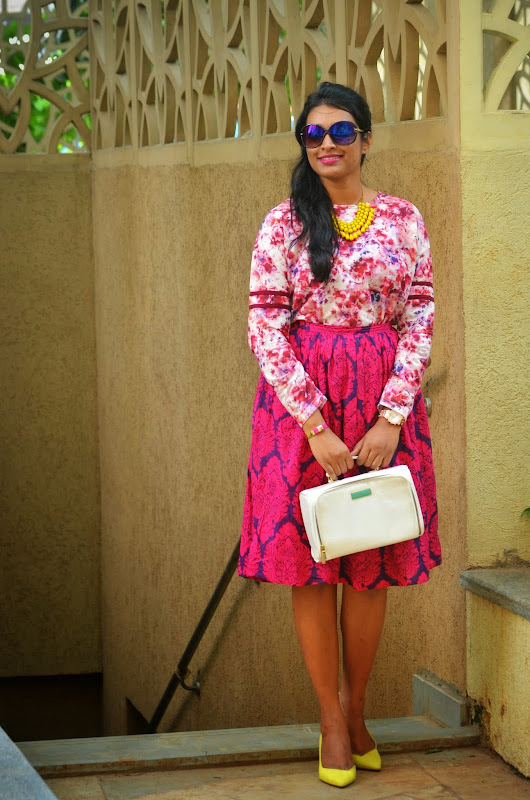 Loved your look in the second mixing - the polka n florals!! You look stunning !! Also like the way you paired your neckpiece with footwear in your first look !!! Thanks Garima :) :) Glad to see you! I am loving both the skirts!! !Nice click! 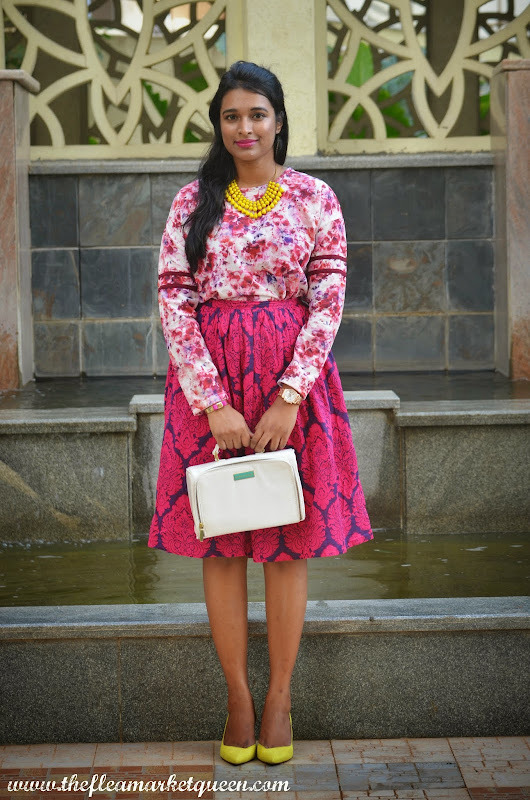 I am always so cautious about mixing prints! Will take notes. I love the new layout Ila, but when I use the ctrl+ function to to zoom in the page, the page elements lose their alignment. Thought that maybe you don't know about this so dropping this message. You are looking Stunning Babe ! you look very stylish. lovely combo and accessories. You have an art to make beautiful combinations of colors. And your style is enough to tell your quality.